Moshe Levy Ben David (son of David) Shyne, at the Western Wall-Judaism holiest site. Not many people from Belize end up spending time in Jerusalem, seeking spiritual direction and a connection to their Jewish roots. But few have an interesting a story as Moshe Levy Ben David – or as he is better known through out the hip hop world – Shyne. A decade ago, as a 20-year-old Belize-born, New York street rapper – he was on top of the world – signed to Sean Combs’ (P. Diddy) label and recording his debut album. 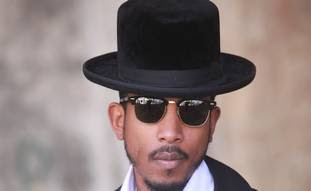 However, a nightclub shooting incident, in which Shyne claims he was protecting Combs, ended up with three people injured and a 10-year prison term for Shyne. Meanwhile his record was released and rose to the top of the hip hop charts making the rapper a household name in the urban community. With an Ethiopian Jewish grandmother, Shyne returned to his roots while in prison, becoming observant, keeping kosher and celebrating Shabbat. Upon his release from prison last year, he was deported from the US and returned to Belize. But last Rosh Hashana, he decided to make his first visit to Israel, and he’s been a regular visitor ever since, spending most of his time there over the last three months. 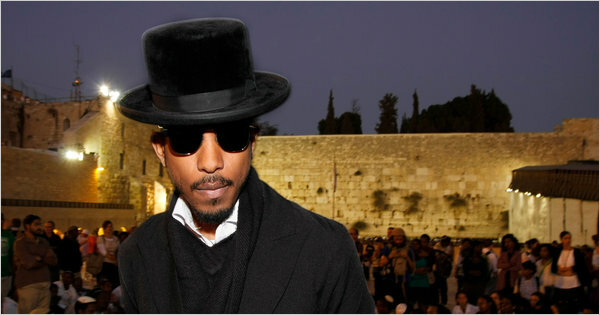 Depending on the day, Shyne is dressed either in full haredi garb of the Hassidic Belz sect, or in a hip hop basketball shirt and baseball cap. He has become an ubiquitous presence in Jerusalem in recent weeks, whether it’s hosting a delegation of Def Jam executives to discuss his new album which they’re going to release early next year, working out at the David Citadel fitness center, studying at Or Sameach Yeshiva or visiting the Gilad Schalit tent to talks with Noam and Aviva Schalit. Whether or not his devotion to Judaism and Israel is a phase which will dissipate if a petition to pardon him and enable his return to the US is accepted by New York Governor David Paterson, Shyne seems sincere about his connection to the country and his faith, even undergoing a conversion process recently that Ethiopian immigrants take part in to erase any doubts of their Jewishness. 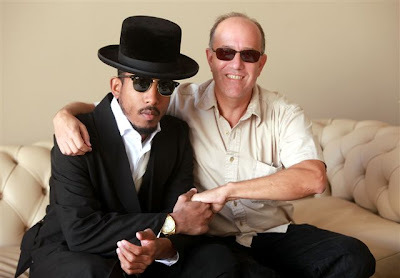 He should be back in NYC by the end of the year Shyne Po stated in XXL magazine. I still listen to his music, representing Belize. This poor confused child, he surely needs some guidance in his life. I hope he finds it and that all this is not a publicity stunt to keep his name in the limelight. Most of us are content with the name we were given at birth but he now unto his fourth name, phew! To top it off Belize is now left without a resident musical ambassador. What a farce that was. That's what I believe too Carl. It's never too late. And I really think we should give him the benefit of the doubt.